Say Goodbye or pay your respect with this beautiful hand tied bouquet. Consisting of Carnation's, Lillie's and Roses. Can be adapted to your favourite flowers. 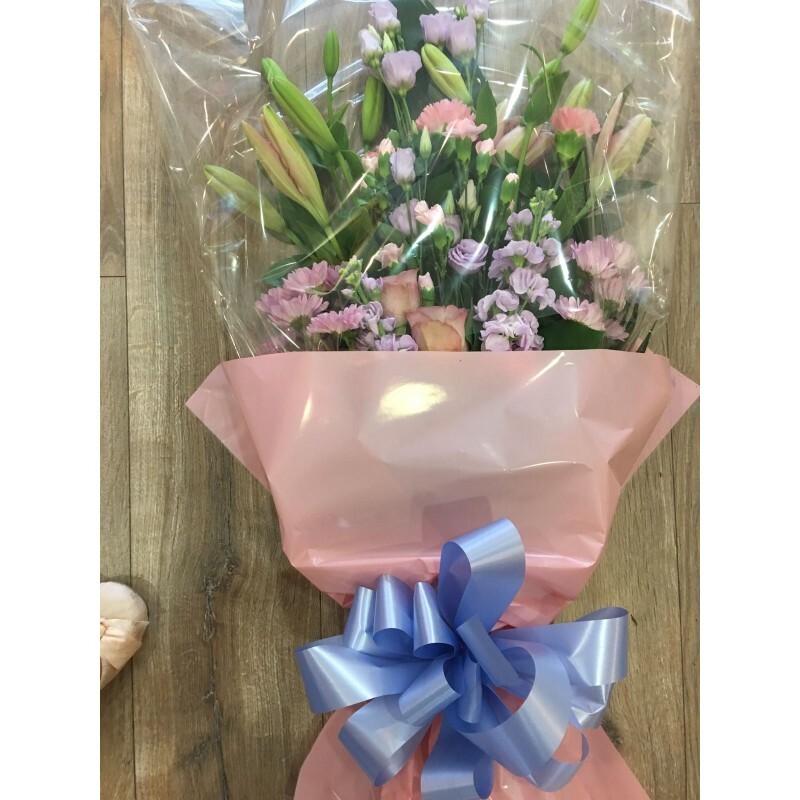 Please call our shop today to arrange your personalised arrangement.